Kameela Osman, is a passionate clinical social worker / psychotherapist. Throughout her career she has taken on many roles, creating a holistic perspective of mental health, wellness and life issues. Having lived and professional experience in the field she appreciates what it takes to reach out for support. She founded Elite Counselling and Consulting Services, to bring more of her being and presence into therapy. She is a strong advocate for mindfulness in this manner. To her, the professional is personal, her life experiences lead her to a deep appreciation for struggling alone, not knowing how/when to reach out. She is driven by the belief that each person matters and through helping others create a better world for themselves, creates a better world for all. She works on multiple levels (including with individuals, couples, organizations, communities, etc.) to support mental-emotional-relational well-being. Services are offers in-person (Bowmanville, ON) and through online video (Ontario-wide). Kameela believes in collaborating for practical solutions, working to offer services that move you from the therapy room to a better lived life! Kameela is an experienced practitioner who has taken on multiple roles through her career. She has a personal philosophy of using obstacles as opportunities. 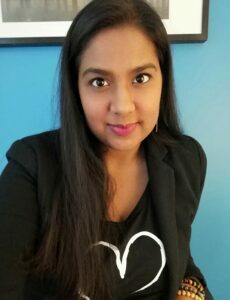 After graduating with her Bachelors of Social Work from York University in 2008, she completed her Masters in Social Work at York University, just a year later, in 2009. She takes a holistic approach to her life, continuing today to work, engage in professional development and give back to the community. Through her work at a local non-profit, she has sat on a number of community tables & committees, including: the Domestic Violence Advisory Committee of York Region; York Region Violence Against Women Coordinating Committee; Prevention of Elder Abuse Committee in York Region; The high conflict forum of York Region; as well as various sub-committees. She is adept at effectively collaborating with community and justice partners to create better services for all. She is an experienced group facilitator, coordinator, clinical counsellor and clinical supervisor. Her clinical counselling experience includes working with individuals, couples, families and mandated clients (both adults & youth). She’s skilled at working with clients on issues such as, anxiety, depression, self-esteem, bullying, anger, assertiveness, sexuality, domestic violence, and relationship issues, to name a few. Taking an integrated approach to counselling is important to her. Rather than being a proponent of a theoretical framework, she prefers to work with you, to find what works for you. This includes at times using elements of, CBT (cognitive behaviour therapy), ACT (acceptance commitment therapy), narrative therapy, solution focused and mindfulness, among other approaches, in her counselling technique. She uses licensed performance metrics to help guide counselling to success. She personally ensures you're working with an Elite Counsellor.